» Does Couples Therapy Work? Couples who enter couples therapy at the first sign of regular trouble have a much easier time. The most straightforward couple therapy is the earliest couple therapy. Does Couples Therapy work? Most couples in evidence-based couples therapy will experience significant and measurable improvement in their relationships. In fact, research shows that couples often experience a dramatic drop in bickering and fighting once they have decided to enter counseling, and before they have even met with their therapist yet! Another point to consider when asking, “Does couples therapy work?” is the therapist’s level of training. You may be shocked to hear that overwhelmingly even therapists who claim to have expertise in couples therapy have received absolutely no training. They simply (and arrogantly) believe their knowledge and skills as an individual therapist will suffice. That is why only 12% of these “All Purpose Therapists” have even so much taken a single college course, or have had any clinically supervised experience in couples therapy. Most of our clients have tried All Purpose Couples therapists in the past. I hear horror stories most every day. If a therapist is incompetently trained, they can’t control the tensions that arise during sessions. Bad therapists can even allow themselves to become sucked into the drama, and have opinions about who’s right. Sometimes you can easily spot a bad therapist. They take sides. They play both ends against the middle. They are in way over their head. Or they proclaim your marriage as utterly hopeless after three sessions. A burned-out therapist at this point, may even give up, and suggest individual therapy. But keep this in mind. Once you relent and enter individual therapy…it’s a small step to say that the marriage itself is the problem. An individual therapist has no responsibility whatsoever to be friendly to the marriage. And kids are resilient… they’ll get over it ..right? When selecting a couples therapist, you want to have the best shot at changing things around. Always ask about the prospective therapist’s level of science-based training. Gottman Method Couples Therapy and Emotionally Focused Couples Therapy (EFT) are the most widely practiced evidence-based methods of conducting couples therapy. In Gottman Method, they should at least be at level 2. And if they like Emotionally Focused Therapy, they should have at least completed the externship. It is also not unusual to find that couples therapist who specializes get the best results. When you are interviewing a therapist, if they say “I didn’t do their training, but I read their books…or I did a weekend general interest workshop’….or brags “I took couples therapy in college”…you’d be much better off with another couples therapist. Scientific couples therapy teaches couples specific strategies that the couple can use on their own. Couples apply what they learned in therapy to the real interactions that happen between sessions, and bring back their results into treatment for discussion. Learning how to avoid sliding into a conflictual dance, and acquiring the ability to speak differently, breaking negative patterns are the hallmarks of progress. Couples notice what they have been doing, and with conscious awareness and great courage, they learn to behave differently and become a different sort of partner. But you have to want to work on your marriage. Your heart has to be in the right place. Couples therapy is not a place to “phone it in.” The Journal of Marital and Family Therapy quotes research that shows that the majority of couples that regularly attend marriage counseling, (and do so with the clear intent to drastically turn things around), report that they experienced science-based couples therapy as crucial in resolving their emotional gridlock. Unfortunately, according to research from the Gottman Institute, most couples typically endure an average of six years and a half years of marital distress before seeking a couples therapist. This delay usually makes therapy a somewhat longer, harder slog. Dr. McMahon says it is like ruts in a road. The emotional ground can be hard at first. Disappointments and resentments can make moving forward a bit creaky and slow at times. But the important thing to remember is that science-based couples therapy was designed specifically for such couples. The work may be harder, and it may take a bit longer than if they came in earlier, but change is still often well within reach. 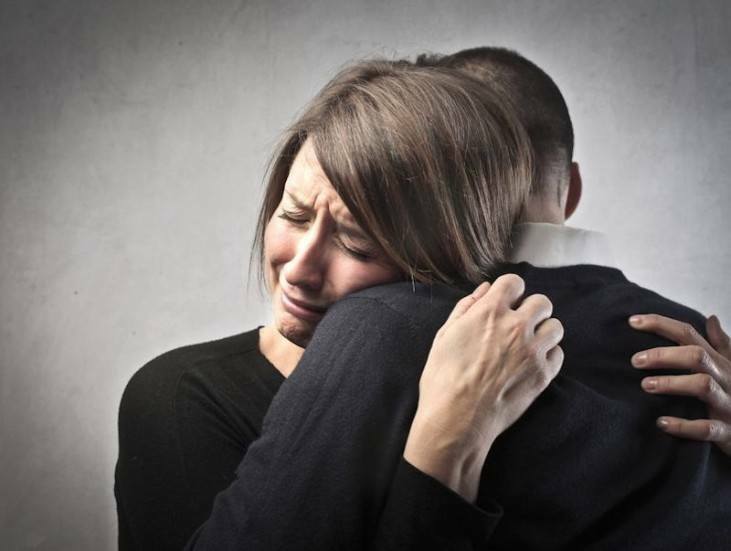 When the research says that over 75% of couples report complete relationship recovery and over 90% realize what research describe as “significant improvement,” many of these couples have been in distress for over six years. Are both of you committed to stepping out of the toxic dance you’re both in. Do you really want to do better? Are you willing to learn how to calm yourself down during arguments? Are you willing to learn how best to calm you partner down? Are you willing to take a fearless self inventory of what you are doing that is not helping… or may even be making things worse? Are you willing to work on yourself in the presence of your partner? Are you willing to be your best self most of the time? If you are, we make it easy in either a Couples Therapy Intensive Retreat or Online Couples Therapy.